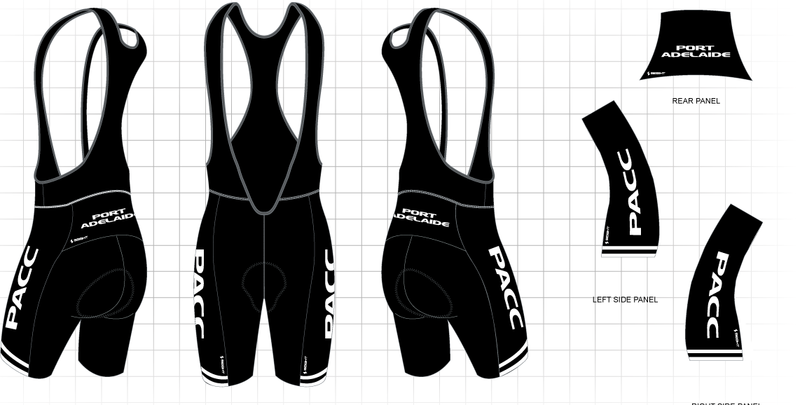 A complete range of club cycling clothing is available and is made by Australian company SEIGHT CUSTOM CYCLING. 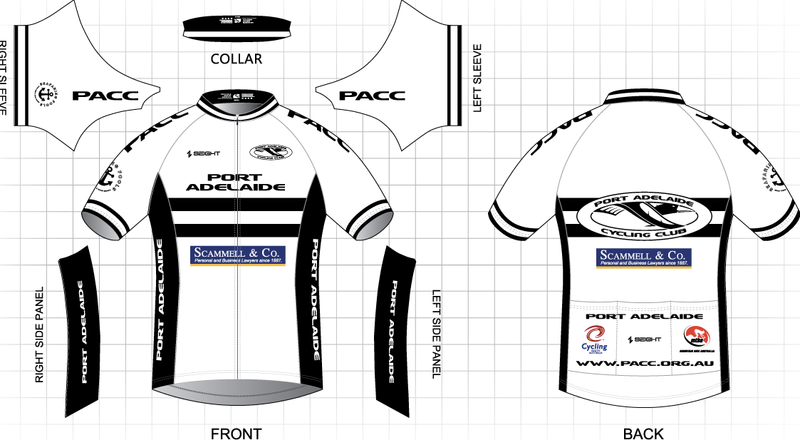 Port Adelaide CC has both white and black kit available and recognised nationally. Anything in the table listed below is available for immediate pick-up - no need to wait! 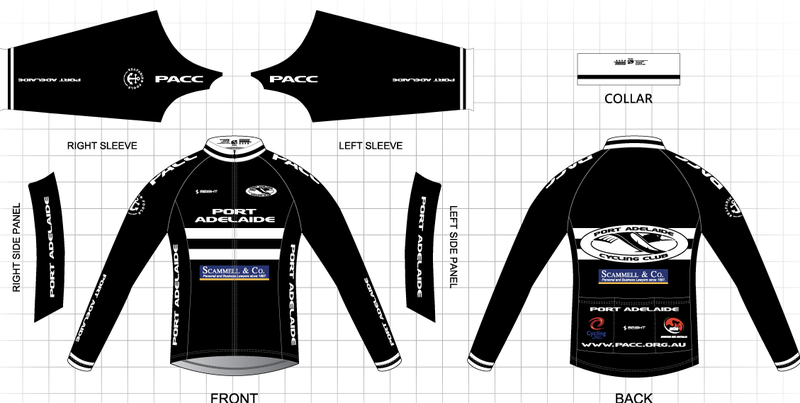 If you need something else that is not listed all garments can be ordered for you, including skinsuits, speedsuits, vests, long sleeve jerseys, arm/knee/leg warmers, jackets, undershirts etc. You name it you can order it! You can check your sizing on the size chart here. Note that the womens and mens jerseys held in the club stock are the 'race' fit. If you prefer a looser fit, get a larger size, or order the 'club cut' jersey in a special order. Current and former Australian and World Champions, in any age category and discipline can also special order kit with the 'Champions Stripes' added. Prices listed below are members- and sponsors-only prices and are sold at less than cost. Kit for juniors is discounted an additional 25%. Non-Members will pay the full price.